Marriott’s three former loyalty programs are now one, with Bonvoy launching on February 13. Three long-standing, iconic and individually successful hotel industry loyalty programs have officially been amalgamated into one by Marriott International, which has tonight announced ‘Bonvoy’ as the singular entity encompassing its three merged programs. 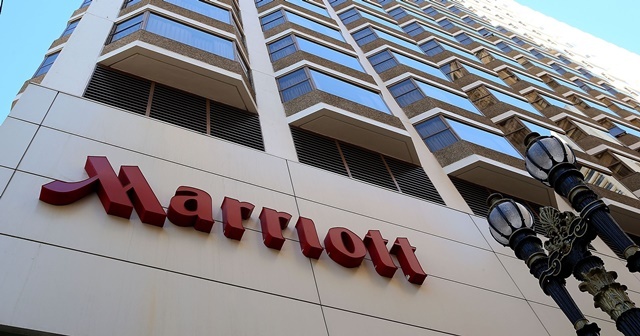 The new brand marks the next completed phase in the Marriott Starwood merger first detailed in August last year, with Bonvoy replacing the Marriott Rewards, Ritz-Carlton Rewards and Starwood Preferred Guest (SPG) programs, all of which will now regress into the annals of history. February 13 will mark the official launch date for Bonvoy, with Marriott to kick off ten months of activation events to introduce consumers to the new brand and its various marketing partnerships with organisations such as the Formula One World Championship, Academy Awards, Coachella Festival, Hong Kong Sevens, Dubai Jazz Festival and more. Marriott websites and mobile apps for all three predecessor programs will be deactivated on this date, automatically redirecting users to the new Bonvoy platform. Devices containing the existing Marriott Rewards app will see it morph into a Bonvoy app from this date. Logos and branding will also begin rolling out globally to all consumer touch points from this date, including all sales channels, co-branded credit cards and in more than 6,000 hotels in 129 countries. More than 120,000 Marriott Bonvoy Moments can be purchased or redeemed with existing points. Marriott International Global Chief Commercial Officer, Stephanie Linnartz, said the Bonvoy name was built on the ideals of travel being an exercise in enrichment for people worldwide. Alongside the unveiling of the new name, perhaps the biggest change for members is the introduction of two new loyalty tiers splitting the current Elite status into two levels. ‘Marriott Bonvoy Titanium Elite’ replaces Platinum Premier Elite for members who stay more than 75 qualifying nights in a year. The pinnacle of the program will be the ‘Marriott Bonvoy Ambassador Elite’ tier and will be exclusively reserved for members spending more than USD$20,000 per year and staying more than 100 nights in Marriott group hotels worldwide. Members of the Ambassador tier will enjoy the services of a dedicated agent to help plan their travel and cater to their needs. The existing Marriott Rewards Moments and SPG Moments programs – which feature more than 120,000 products and experiences in 1,000 destinations – will see all redemption products and experiences rebranded as Marriott Bonvoy Moments.